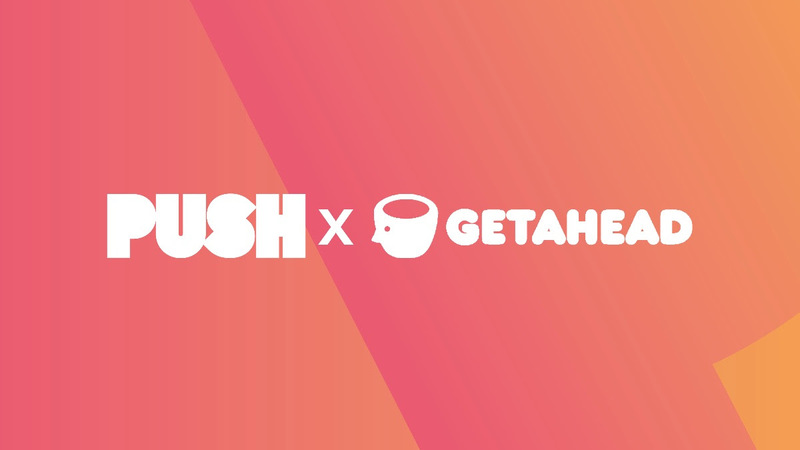 We are incredibly excited to announce that PUSH is the official WORK BETTER partner for Getahead, a 24-hour festival taking place this Summer. We can’t wait to bring you the very best talent across corporate wellness to a day focused on ‘getting ahead’ without burning out. At PUSH we wholeheartedly believe in Getahead’s mission and understand the impact that the world of work especially can have on our mental health – after all, work is the number one stress for most people. Our own philosophy is based on the fact that the way we are working isn’t working. “We live in this relentless and challenging world which is only becoming increasingly so”, our founder Cate Murden has said on the topic, “it’s actually the employee in the middle who’s taking the hit. We need to work out how to manage that world better, manage ourselves better and consequently work better”. Using our platform at Getahead, we want to demonstrate that wellbeing doesn’t have to be limited to our own personal time but can infiltrate the work environment too. In this way, PUSH, alongside Getahead, can encourage positive change and ultimately support healthier working lives. Having experienced the stress and exhaustion of our modern world, founders Dan Kirby and Jenni Cochrane launched Getahead in 2018. Driven by their aim to steer people away from burnout, Getahead is about creating a positive community, who collectively want to tackle stress, overwhelm or mental health issues and ultimately find more balance – all while having a laugh and a boogie. The first Getahead Festival last year featured world-class speakers, practical productivity workshops, epic sweat sessions and an all-night disco dance. “We’ll only achieve our mission by connecting with the smartest and most switched on people in their fields. And that’s you guys! We’re honoured that you’ve chosen to work with us.” Dan and Jenni said of our partnership together – and we couldn’t be prouder. Here at PUSH, we admire Getahead’s commitment and we especially resonate with their focus on an accessible discussion around mental health, bringing people together and making change happen. Dan and Jenni’s vision is to make London the “SXSW of mental health and wellbeing”– after the tech, music and film festival in Austin, Texas – and take over the whole city for a 24 hour period. Watch this space for incredible and unique content that we’ll be sharing on the day and here’s to improving the way we live and work by helping each other to ‘get ahead’. PUSH Nutritionist Le’Nise was part of the Getahead Wellness Week in January and gave a talk on Eating to Improve Resilience. We are looking forward to this year’s festival which promises to be an extraordinary event and takes place day & night on Friday 14th June 2019. Find out more on the Getahead website.